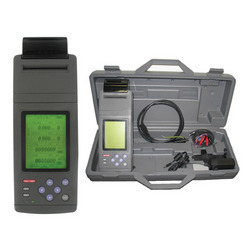 We offer Portable Ultrasonic Clamp on Type Flow Meters of good quality. - Handheld Water flow meter for instantaneous flow measurement and flow data logging. - Uses transit time principle. - RS 232 interface for PC connection and Data transfer. 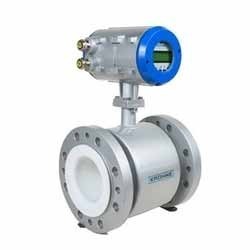 Size: L 2-1/4", H 3", W 2-1/4"
We are one of the most reliable companies in this domain and are into offering Online Ultrasonic Flow Meter.